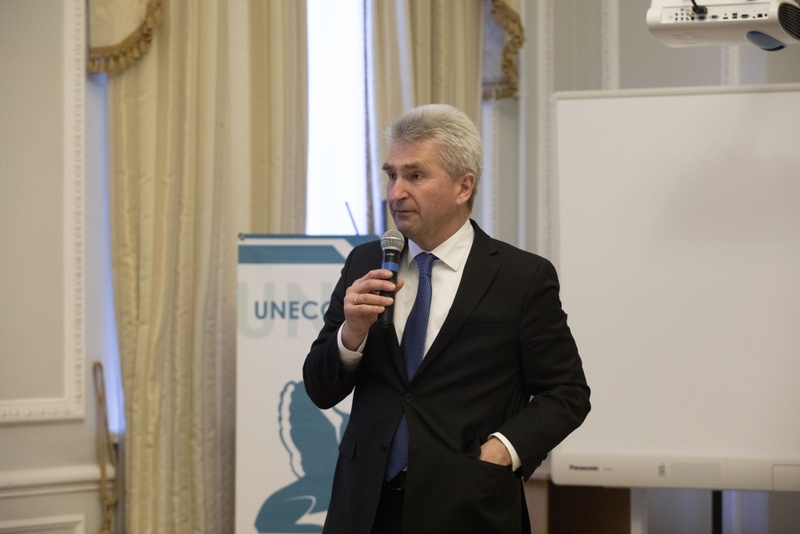 On April 3, 2019, the Minister of Economy, Innovation, Digitalization and Energy of the State of North Rhine-Westphalia Andreas Pinkwart made a presentation at the St. Petersburg State University of Economics as part of the "Days of German Week" in St. Petersburg, which this year was supported by the Federal North Rhine-Westphalia, on "Digital Economy in Education". 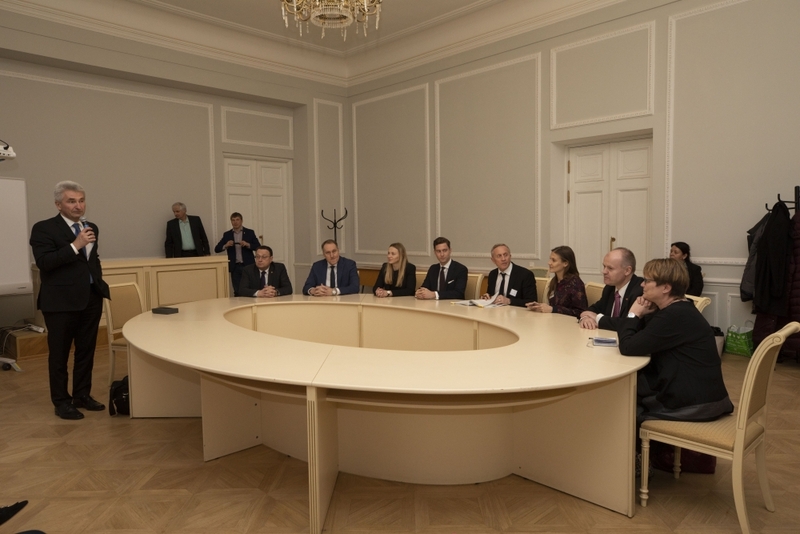 The participants of the discussion from the German side were representatives of the Ministry, professors from the universities of North Rhine-Westphalia, represented the German Consulate General in St. Petersburg, from the Russian side - Vice-Rector, professors, graduate students and students of St. Petersburg State University of Economics. In his report, Mr. Pinkwart said that we are in the process of a radical transition from the industrial to the digital society. Today, digitalization affects all value chains with their factories and machines. New digital business models are opening up new opportunities for start-ups, retailers, artisans and craftspeople. Digitalization promotes innovation and competitiveness for all; and promotes social prosperity. And how to prepare students for work that does not yet exist, for technologies that are not yet developed to solve problems that we do not yet know may arise. 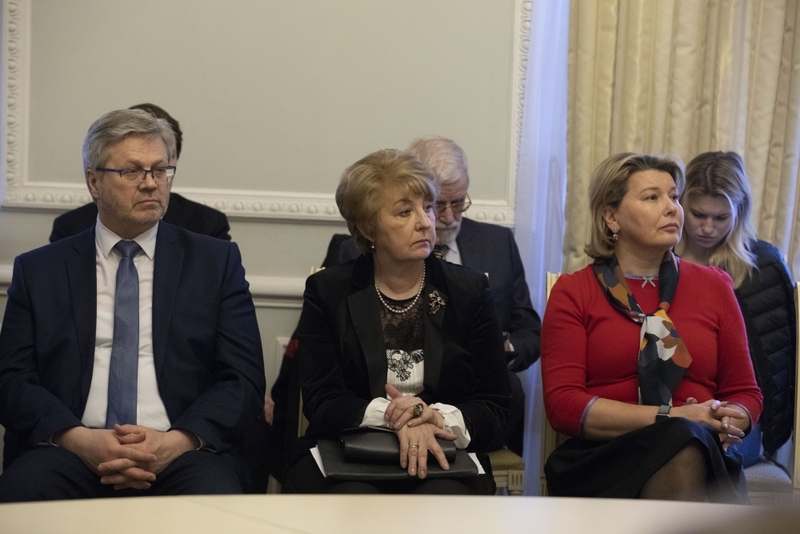 At the end of the report, there was a lively discussion in which participants asked questions about possible risks, the chances of new professions emerging, and learning in the digital age.